The Tiffany delivers sophistication with every step. This PROF pump features a black suede upper with contrasting silvery detail. 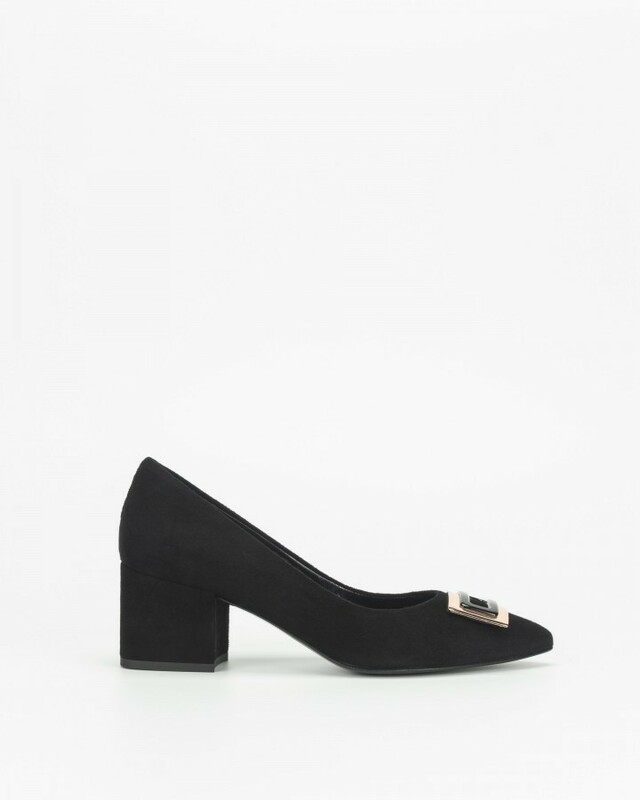 Perfecting the look is a pointed toe and 5 cm heel.